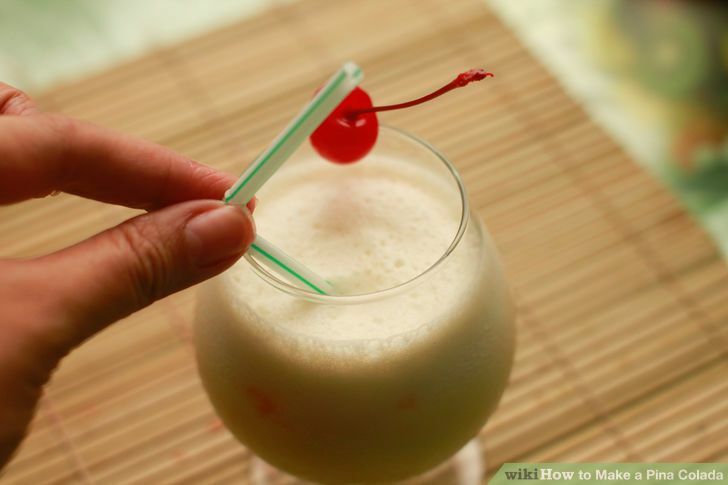 The piña colada is a sweet and tasty cocktail made with rum, cream of coconut, and pineapple juice. 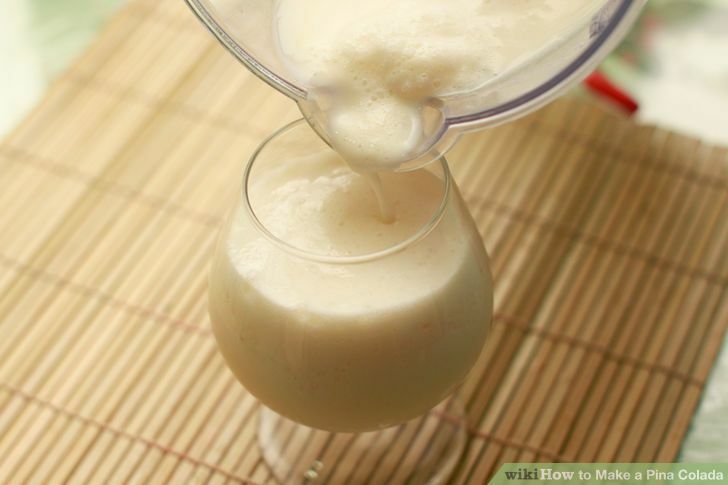 It can be blended, frozen, or mixed with ice, depending on your preference. 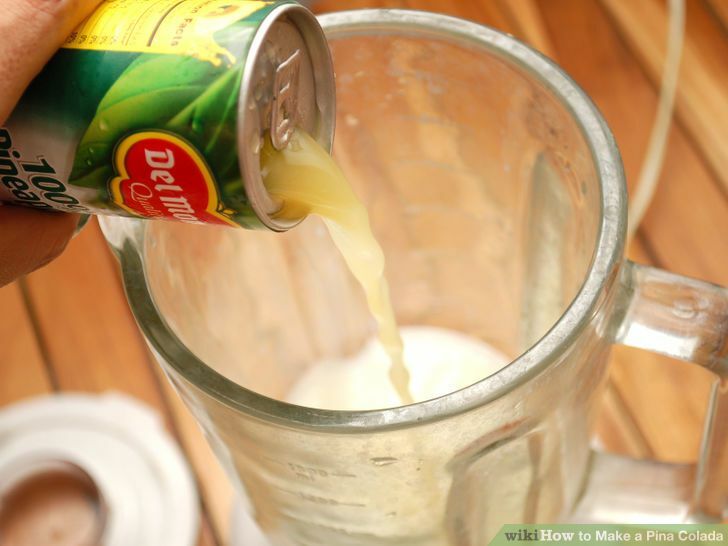 The piña colada has been the official drink of Puerto Rico since 1978, but you can enjoy this tropical beverage from the comforts of your own home. If you want to know how to make it, just follow these steps. 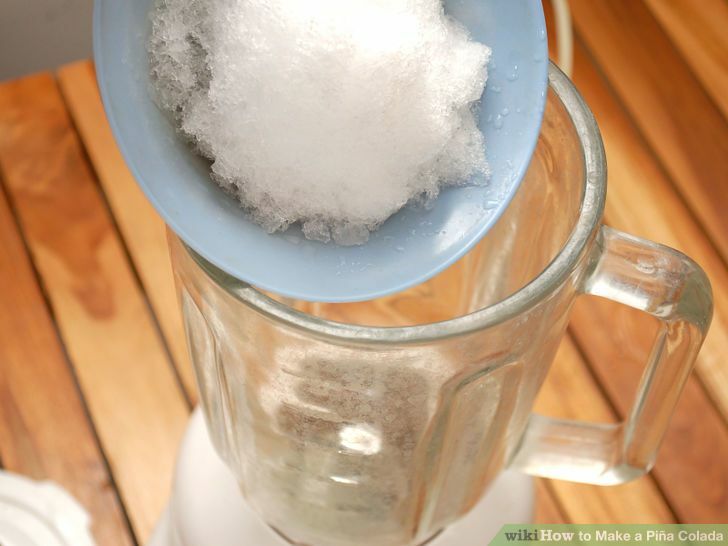 Put 1 cup of crushed ice in a blender. 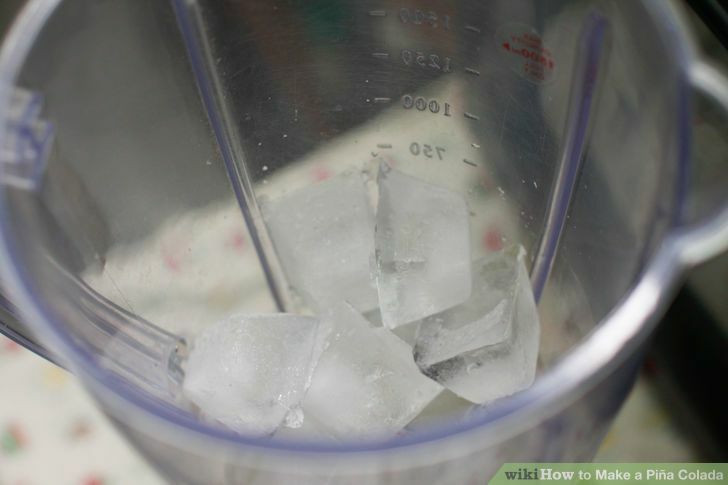 Crushed ice will be the easiest type of ice to blend. Add 1 oz. of coconut cream to the blender. This will add a hint of coconut to your tasty drink without overwhelming it. Add 2 oz. of white rum to the blender. This alcohol will give the piña colada the kick you’re looking for. For a virgin piña colada, you can skip this step. Add 3 oz. of pineapple juice to the blender. Blend the ingredients together. 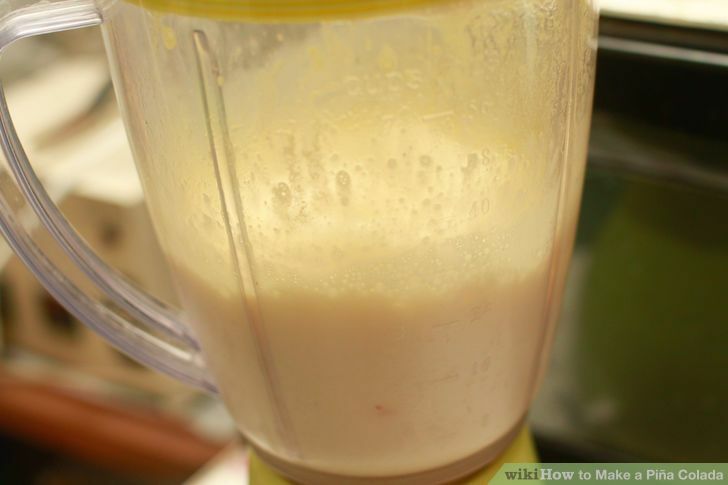 Put the blender on medium and blend all of the ingredients together until they’re incorporated. 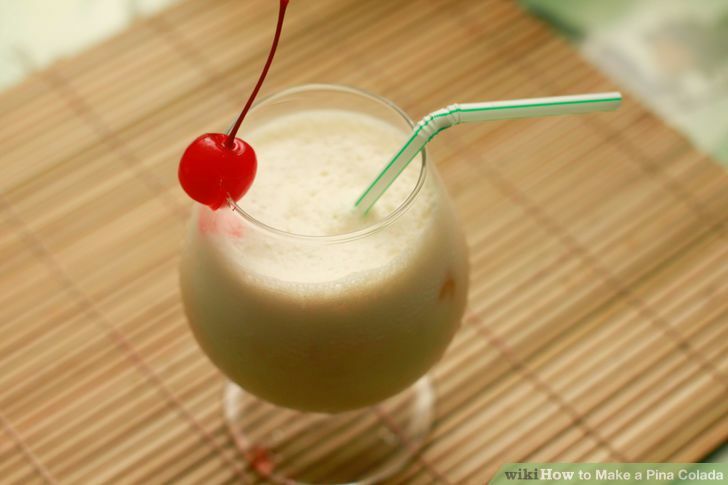 The piña colada should be smooth, sweet, and creamy. Pour the piña colada into a glass. Garnish. 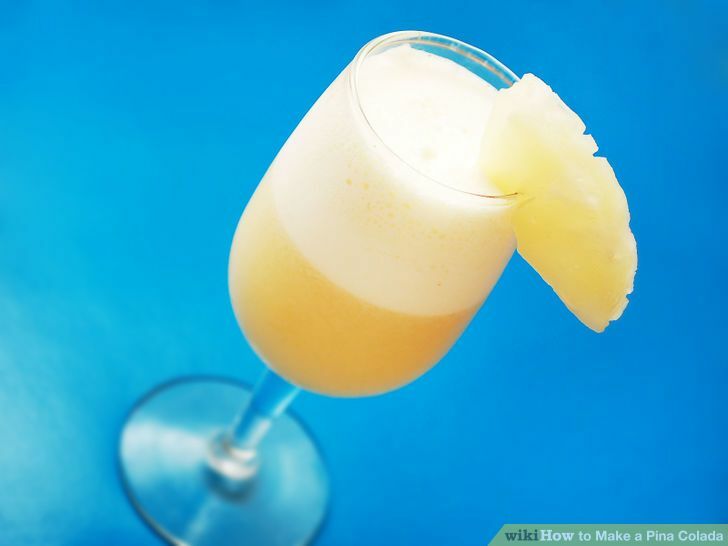 Garnish the drink by adding a slice of pineapple to the glass. 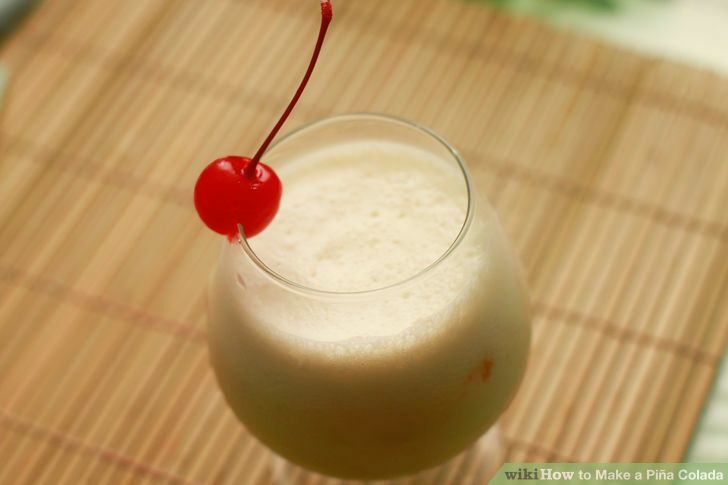 You can also put a maraschino cherry into the drink. Enjoy this beverage on a hot summer’s day — or any time at all. 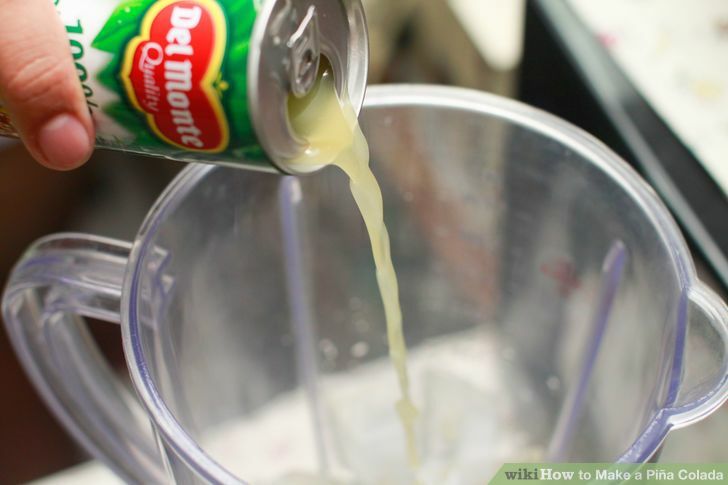 Blend 2 cups of crushed ice. 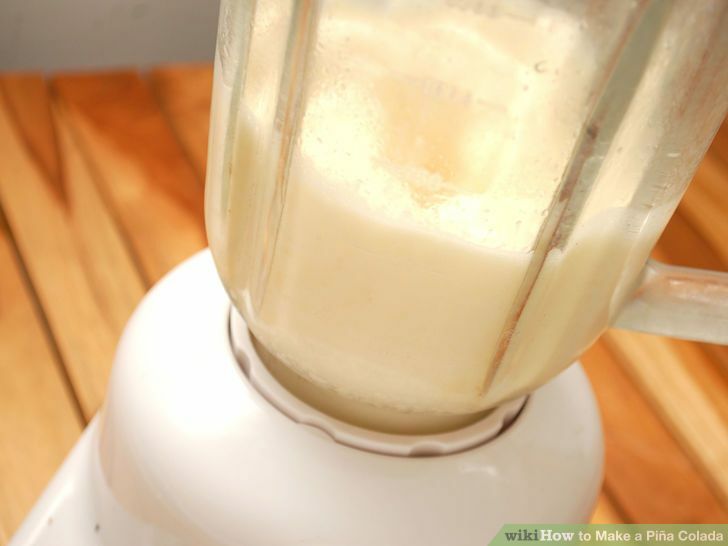 Place the ice in your blender and blend it on high to get rid of any large chunks of ice and to make the frozen piña colada smooth. Place the remaining ingredients in the blender. Add 3 oz. of coconut cream, 6 oz. 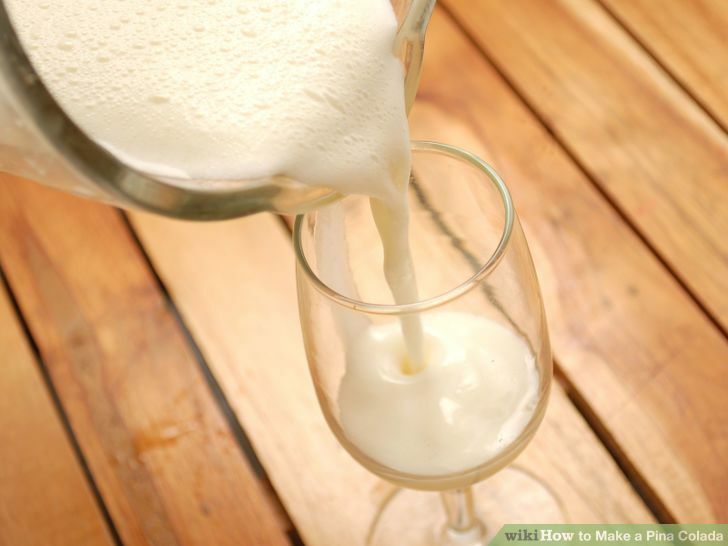 of pineapple juice, 1.5 oz of heavy cream, and 2 oz. of rum to the blender. Blend these ingredients on a high speed for 15 seconds. 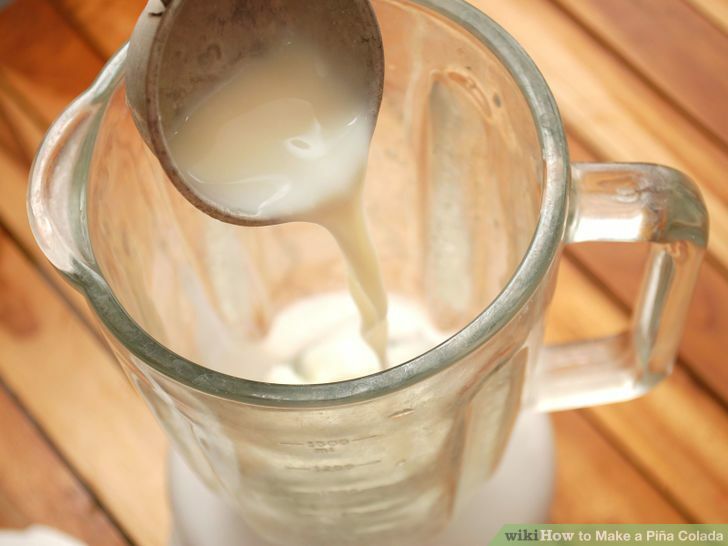 Blend them until the ingredients are blended into a thick frozen mixture. 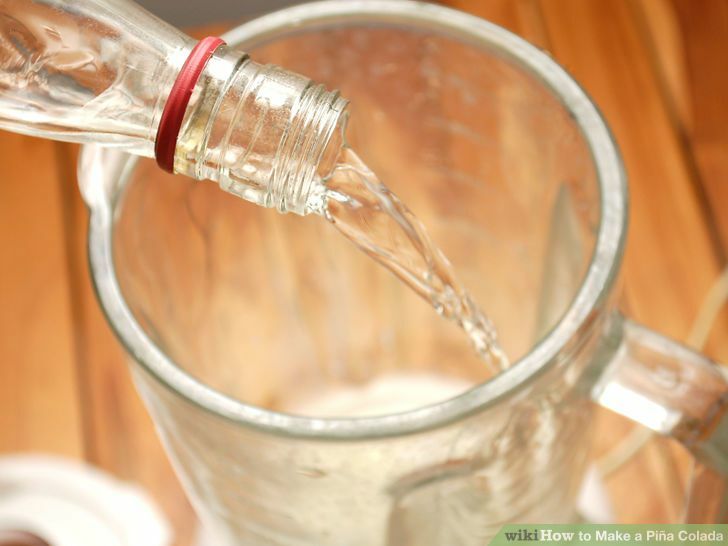 Pour the drink into a glass. Any glass will work, though a hurricane glass or a tall glass will make for a better presentation. Garnish the drink with a maraschino cherry. Cut halfway into the cherry and place it on the rim of the glass. Place a straw in the drink. This frozen drink will taste the best if you sip it through a straw. Serve. Enjoy this tasty drink any time. Place the strawberries and sugar in a food processor. Place 1/2 pint of hulled and quartered strawberries and 2 tbsp. of sugar into a food processor. Pulse the mixture until it’s smooth and the strawberries are pureed with the sugar. Place the pureed strawberries and remaining ingredients in a pitcher. Place the pureed strawberries, 4 oz. of pineapple juice, 3/4 cup of mango juice, 3 oz. of white rum, and 2 oz. of triple sec in a large pitcher. Stir the ingredients together to incorporate them. Refrigerate. Cool the mixture for at least an hour. Serve. Place this tasty strawberry cocktail in a chilled martini glass and garnish it with a sprig of mint. 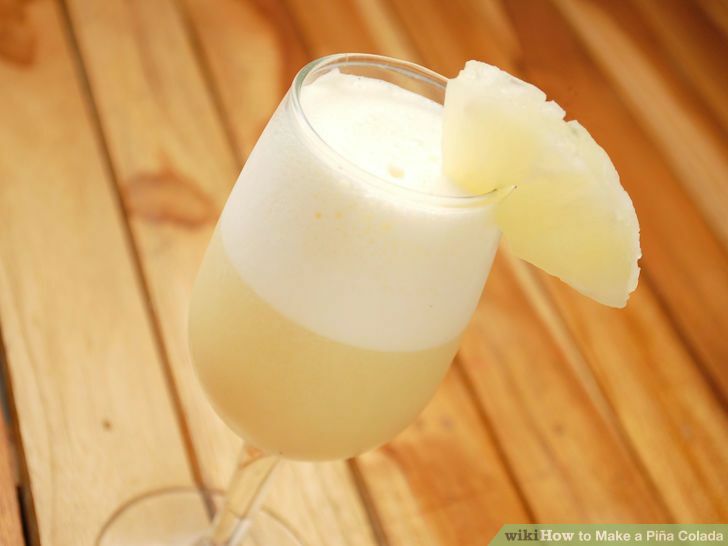 If you find that after blending, your Pina Colada is too thin, you can add more crushed ice and blend again. When looking for Coconut cream, look for containers specifically labeled “Coconut cream” rather than “Coconut milk”. They’re two different products. Never make more than three Pina Coladas at a time, most blenders cannot handle more than that and your ingredients will not get mixed.